Kipralu Center for Yoga and Health– a great place to learn and experience yoga. They host retreats attended by more than 36,000 people every year. Tough Mudder- Outdoor boot camp and Extreme Fitness- Experience rolling hills, open fields, rugged trails and a frenzy of obstacles. Check out the list ofTough Mudder locations for 2015. Hiking at Crowders Mountain State Park in Asheville, North Carolina- Hike to the top of Crowders Mountain to see a view that stretches over 25 miles. Walk the nature trails that go for miles on a variety of terrains. Color Run/ Shine Tour– “The happiest 5k on the planet!” – A paint race that this year will be combined with glitter! Monterey Bay Kayaks at Monterey beach- have a fun kayaking adventure around the beautiful bay. Gatlinburg, Tennessee trails- Explore beautiful falls of the Great Smoky Mountains or an amazing panoramic view on the LeConte/Rainbow Falls or the Chimney Tops trail. 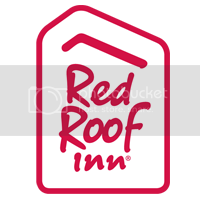 Remember to get more out of your health and wellness vacation by staying and saving at Red Roof.